To share photos from World Refugee Day celebrations across Eastern Africa. Kevin White SJ, JRS Uganda Director, together with Devota Nawe, HIAS Uganda Director, and Biragi Nyakadekere, refugee representative, cut the JRS at the JRS World Refugee Day celebration in in Kampala, Uganda (Beatriz Arnal/Jesuit Refugee Service). 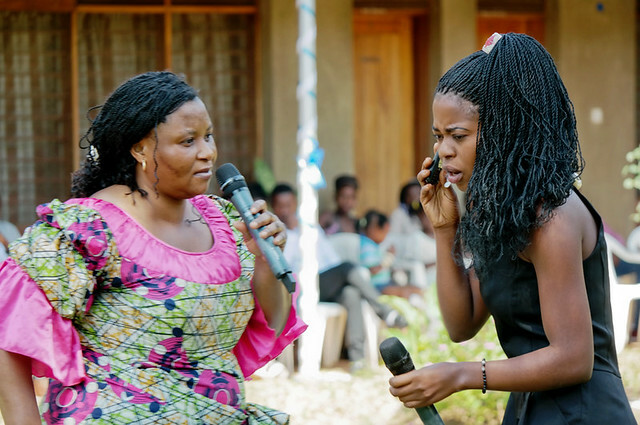 JRS students act out a Swahili drama on the difficulties of being displaced in Kampala, Uganda at the JRS World Refugee celebration. Challenges discussed ranged from begging to forced prostitution to hunger (Beatriz Arnal/Jesuit Refugee Service). 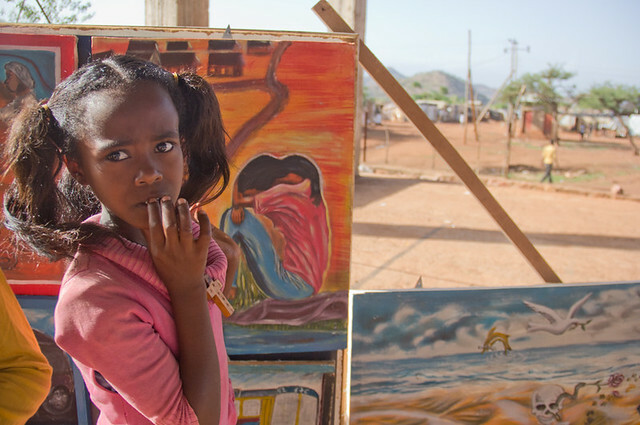 A young Eritrean refugee poses in front of a painting in Mai Aini refugee camp at an exhibition held for World Refugee Day. According to the painter, this painting represents the home sickness many refugees feel after they are forced to flee their home (Angela Wells/Jesuit Refugee Service). 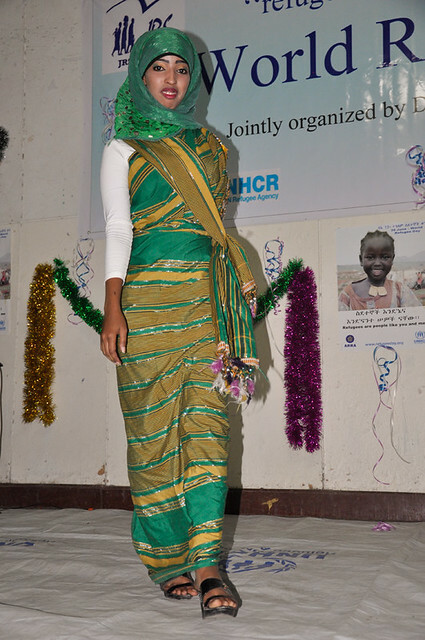 A Somali refugee walks the catwalk at the World Refugee Day fashion show in Addis Ababa, Ethiopia (Ethiopian Catholic Secretariat/Jesuit Refugee Service). Click here to see more photos from JRS Eastern Africa World Refugee Day celebrations.